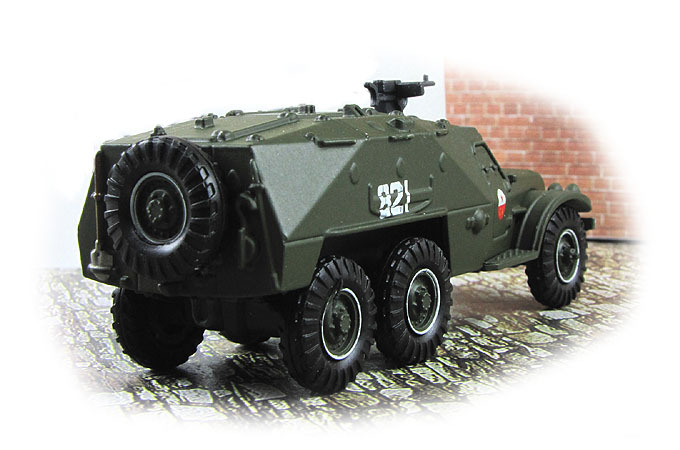 The BTR-152 (also known as BTR-140) was a non-amphibious Soviet wheeled armored personnel carrier (BTR stands for Bronetransporter (БТР, Бронетранспортер, literally "armoured transporter"). The vehicle entered active service with the Soviet Army on 24 March 1950 and was first publicly shown during a parade in Moscow in 1951. 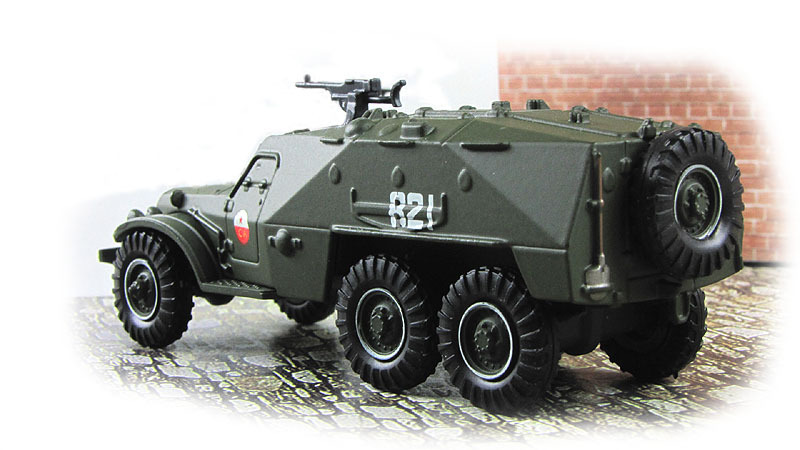 It was phased out as an APC between the late 1960s and early 1970s and was replaced by the BTR-60. 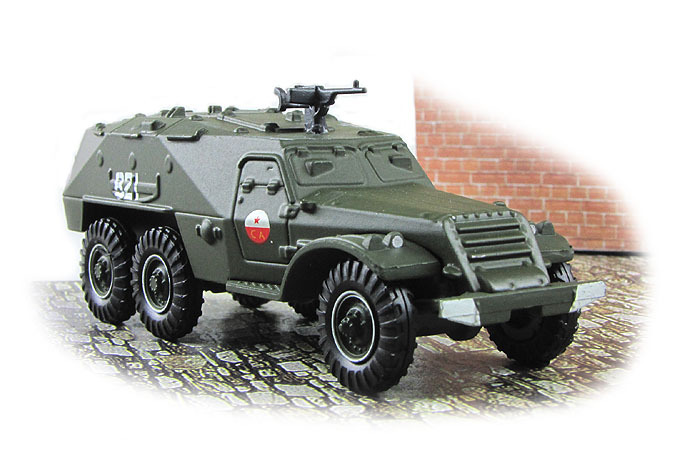 It remained in service with the Soviet Army and later post-soviet Russian Army until 1993 in a variety of roles, including command vehicles, mobile radio stations and ambulances. It was also exported to many Third World countries where some still remain in service. BTR-152 first saw combat use during Hungarian Revolution of 1956. They were later used during the Six Day War in 1967. Dozens of Egyptian and Syrian BTR-152 APCs were captured by the Israeli Army. They were also used in combat during the Soviet invasion of Czechoslovakia in 1968 by the Soviet Army and other Warsaw Pact armies. They also were used in a number of local conflicts like the ones in Africa. BTR-152K (1959) - Received armored roof with three big hatches on top of it of which two were opening to the right over the troop compartment, internal tires pressure regulation system and filtering/ventilating system. The weight of the vehicle has increased, the crew went down from 2+18 to 2+13.